While on hiatus, my wife and I did some traveling. 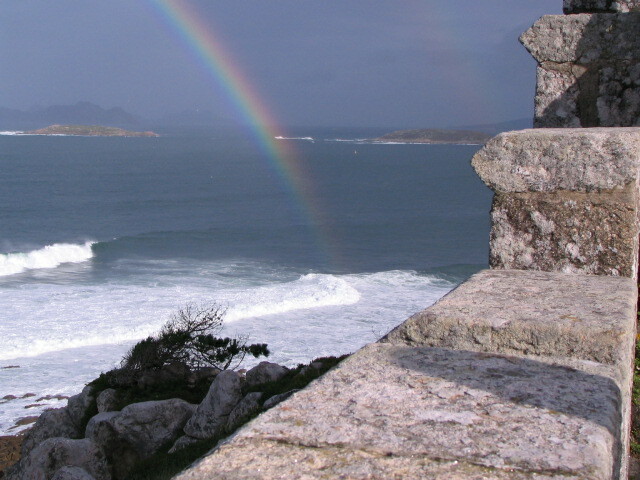 We were in the Spanish coastal village near the city of Vigo one sunny morning (our tour guide had made fun of the local forecasters who had predicted some showers for the day). We were exploring the grounds of an ancient fort that was now a luxury hotel. While we were there, a few showers popped up (chalk one up for meteorologists) and produced, what to me, was the first end-to end complete rainbow I had ever seen. It was too long to capture in one shot with my camera, but the pictures below show each end (you can fill in the rest mentally). 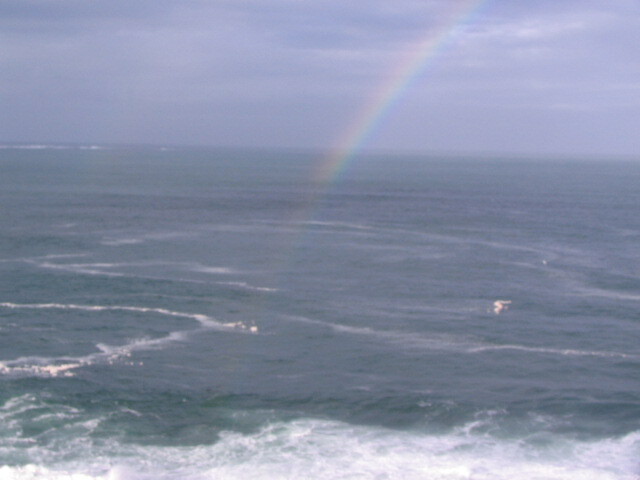 By the way, if you want to find that elusive “pot of gold” at the end of the rainbow, you’ll need some scuba gear! 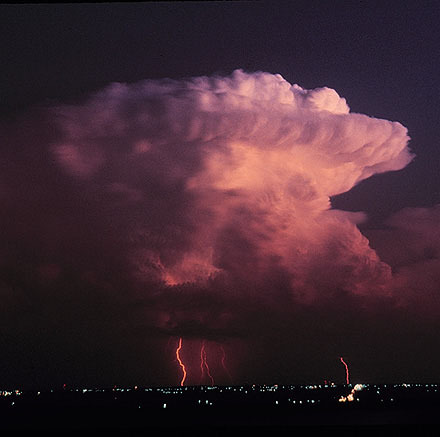 This entry was posted in stuff on November 13, 2014 by wx.